Do you need Hoarding Cleanup Services? If you are in need of hoarding cleaning services then Iowa CTS Cleaners can help. 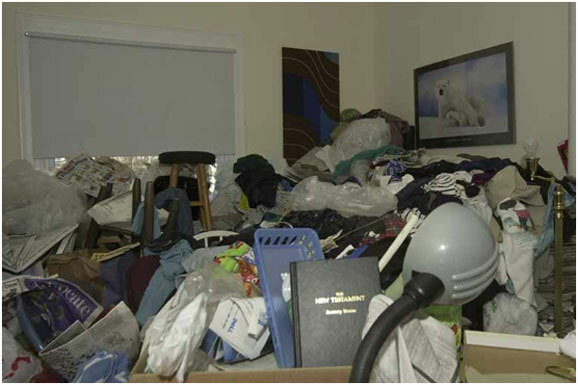 We can provide you quality professional services resulting from "cluttered home" situations. Our Hoarding cleaning services are for property owners that have not been able to keep-up with cleaning due to an illness or other physical or psychological issues. We understand that some property owners are not able to regularly clean and maintain their home and the situation can build up over time to be one big mess. We help property owners with getting their homes back to a live-able state so that other needed repairs or maintenance can begin if needed. 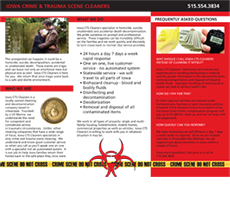 Iowa CTS Cleaners is prepared to handle any type of hoarding, gross filth and junk biohazard cleanup. Our technicians are trained to restore your hoarding areas to a safe, biohazard free environment. With our hoarding services can clean, organize, sanitize and or disinfect depending on the degree of "hoarding" involved in the home. We maintain our own fleet of dump trailers which we utilize to empty large amounts of trash and debris out of the home so that other surface cleaning can begin. Odors are typical of hoarding homes and contaminated possessions like carpet and bedding normally need removed and discarded to get the odors out. Odors from food, urine, feces and other wastes can be removed by Iowa CTS Cleaners and their team of odor removal cleaning specialists. If you are a landlord or person "In charge" of getting a hoarding situation resolved, we can help you with options and services to fit the work depending on the situation. Iowa CTS Cleaners has helped hundreds of families and property owners dealing with hoarding issues,get relief from the stress it causes families and friends by having quality services and respect for the people involved by calling Iowa CTS Cleaners.